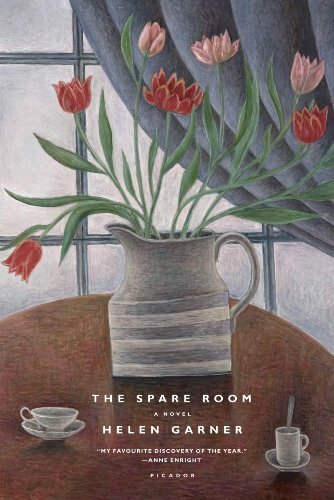 Beyond the guest room in Helen’s home, are there other images the title The Spare Room brings to mind? How much room, energy, and patience does the narrator, Helen, have to spare? Discuss your own experiences with caregiving. What are its rewards, and its difficulties? Would you have allowed a friend like Nicola to stay with you until the very end? What is universal about the way humans handle their own mortality? At what point is Nicola able to accept that her illness is terminal? Is it better to know the outcome of our lives, with an opportunity for a long goodbye? How does Helen Garner balance humor with the raw reality faced by her characters? How would you describe the friendship between Helen and Nicola? Are they compatible in very many ways? Are they honest with each other? Which friend would you turn to in a similar situation? In chapter seven, Nicola fears that she has wasted her life, comparing herself to Helen, who is close to her family. Discuss the two kinds of lives illustrated by Nicola and Helen. What is the best measure of a life? What sorts of “families” do we create for ourselves through friendships? Though The Spare Room is a novel, Helen Garner is often asked why she and the narrator have the same name. She has said that she used her own name because she wanted to acknowledge the reality of certain deeply troubling emotions, particularly anger, that she has experienced while caring for dying people whom she loved. How did it affect your reading to see that the author and main character are both called Helen and are both writers? Discuss the notion of hospitality and culture. When is it acceptable to turn someone away? Which guests must be welcomed, no matter what? Nicola bitterly resists hospice or any other signal that she has run out of options. What accounts for the different approaches people have to their final days: those who accept death versus those who fight it? What will Bessie remember about this episode in her life? How does Nicola’s illness unfold as seen through the eyes of a child? Discuss the magician who performs beautiful feats in chapter ten. Why is it sometimes good to suspend rational thinking? Is it harmful to believe in magic?